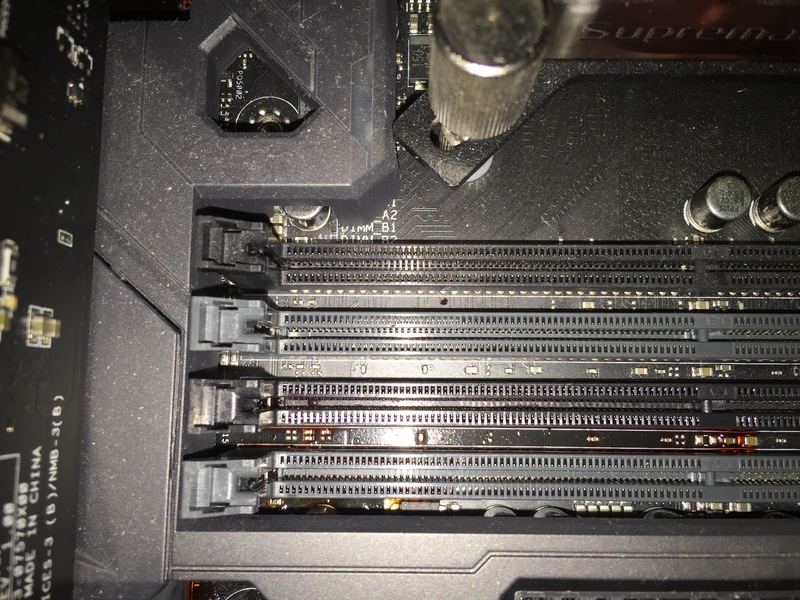 It’s a bit hard to spot but to the right and in between the ram slots is a little drop of red cooling liquid. Not obvious straight away? 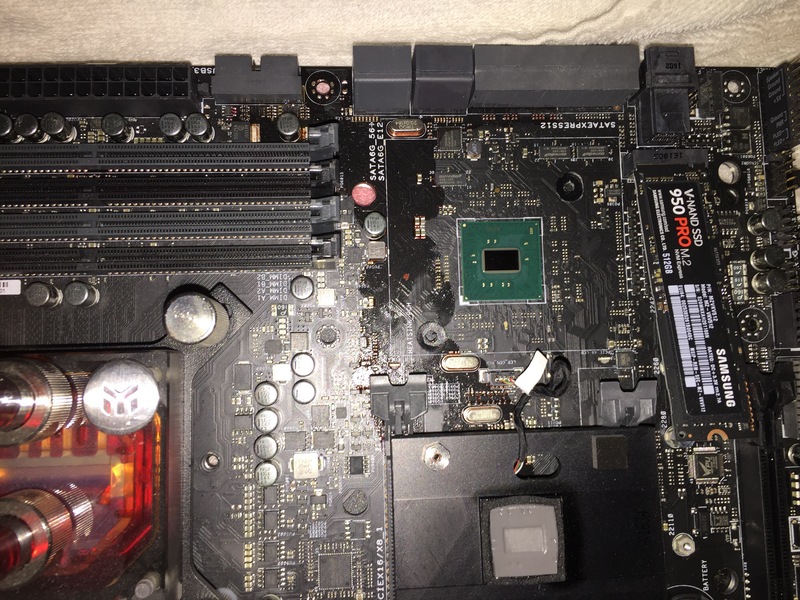 Anyway I hadn’t spotted this and I proceeded to reattach power etc and I pressed the power on and just a few lights on the motherboard lit up but nothing else. Suffice to say when I realised I quickly disconnected the power and released a series of obscenities with much vigour! So here be dragons indeed. Am I going to give up on water cooling? Heck no, it’s how you learn from things like this that matters. Well, that and the assumption you still have enough cash to buy some replacements!